Next Up – The *NEW* Kemp Mill C(hill) 5K/ 10K! The Awards Brunch is SOLD OUT. If you would like to be put on the wait list, please contact office@mcrrc.org. Likewise, if you RSVP’d and can no longer attend, please notify the office so that your spot may be given to someone else. Thank you for your cooperation. RSVP for the 2018 Annual Meeting & Awards Brunch! 2018 Awards Brunch – Save the Date! 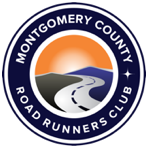 Register for the 2018 RRCA Club Challenge! Registration OPENS for the 2018 La Milla de Mayo! Registration is now OPEN for the 2018 La Milla de Mayo (The May Mile) — a one mile race through Old Town Gaithersburg. The 3rd running of the mile takes place on Saturday evening, May 5, 2018! Bring the whole family for a night of fun, great food & fitness! Please see the race webpage for details & to register. Pike’s Peek 10K ONE DAY SPECIAL PRICE – TODAY ONLY! Join us on New Year’s Day! Members – There will be no track availability tonight or tomorrow night at Montgomery College (12/26-27) due to Winter Break. We will see you next week! To our members & friends, On behalf of the Board of Directors & Staff here at MCRRC, we wish you and your families a wonderful holiday season and we look forward to running with you in 2018. Happy Holidays! Want to serve on the MCRRC Board of Directors? Let The Nominating Committee know! Sign up for the Winter Half Marathon Program TODAY! Run or Volunteer for the Candy Cane City 5K on Sunday! SPOTS REMAIN for Saturday’s Stone Mill 50 Miler! No Track at Montgomery College TONIGHT 10/31! There will be NO TRACK AVAILABILITY tonight (Tues 10/31) at Montgomery College. Our programs have other plans & we would like to give our staff the night off for Halloween. So go out & enjoy the evening with your little ghosts & ghouls! Registration for the 2018 Speed Development Program IS OPEN! The MCRRC Competitive Racing Team has opened the application process for 2018. Apply Here! LAST DAY to Register for the 2017 MCM Hospitality Suite & Get Bus Tickets!